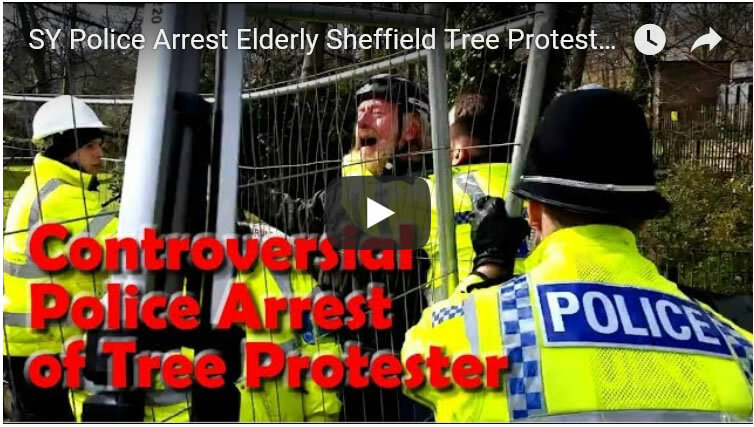 March has witnessed a further escalation in the aggressive policing of Sheffield's street tree felling protests with multiple arrests taking place each day. 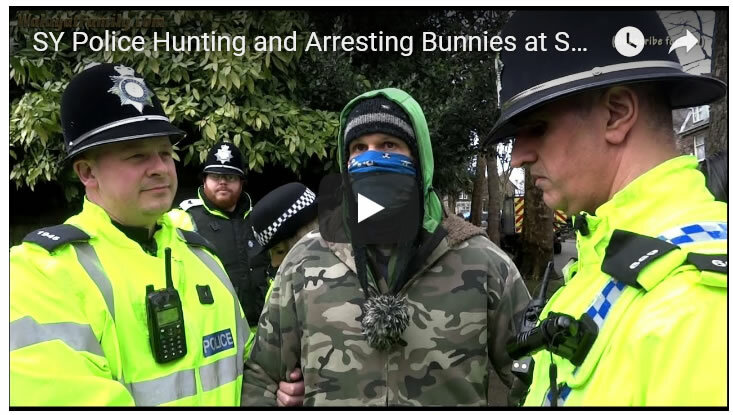 In this video of events on Thornsett Road the Police hunt down and arrest a Bunny which is a protestor who attempts to prevent a felling by getting close to a cordoned off street tree. However this arrest is controversial as the protestor may have had permission to be in the neighbouring garden to the tree as the video illustrates. 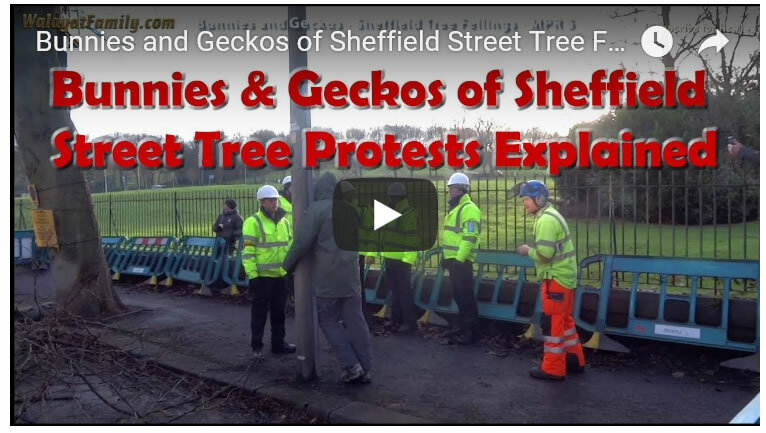 And this video explains what the terms Bunnies and Geckos mean in the contest of Sheffield's street tree fellings protests. 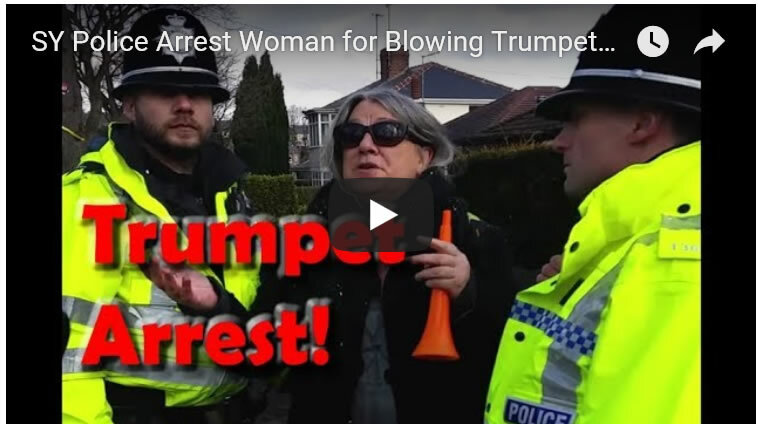 This video further illustrates the aggressiveness of today's policing as the Police arrest a woman on Rivelin Valley Road for blowing a kids toy trumpet! And earlier on the same day an elderly tree protestor was also aggressively arrested under suspicion of causing an obstruction of the highway (S303 Highways Act 1980).